Early this morning, Hurricane Florence began to make landfall along the coast of North Carolina and is now making slow and steady progress inland towards the central parts of the Carolinas. Already images and video footage posted to social media show flooded streets and fast-moving currents of water and debris. 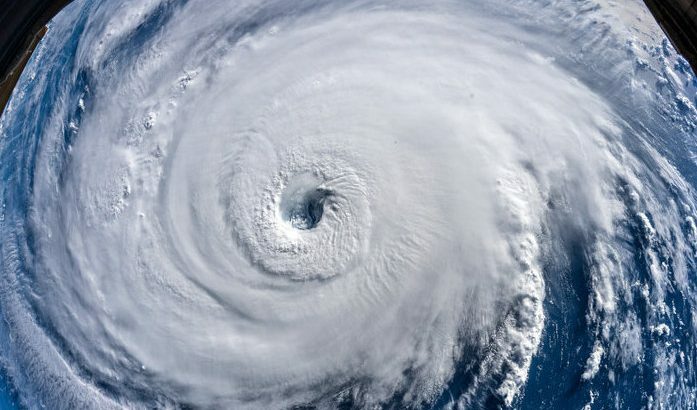 High winds, dangerous storm surges, and catastrophic flooding have all been reported with Hurricane Florence, and residents have been cautioned to leave as soon as possible if they live in evacuation zones. Yesterday, over 200,000 people in North Carolina had no power due to the high winds and flooding as Hurricane Florence began to make landfall, according to ABC News. The Washington Post reported that the number of power outages on Friday had skyrocketed to 500,000. Even though the hurricane was downgraded to a Category 1, weather reports have said that the downgrade doesn’t mean Florence will be any less intense. Instead, residents in the area have been told to prepare for days of rain and potentially 40 inches of rainfall in some areas of North and South Carolina. Like Hurricane Harvey last year, what makes Florence so potentially dangerous is the amount of rainfall the storm could produce if it just sits over the Carolinas. CNN also reported that more than 200 people had been rescued from the rising waters and storm surges reached as high as ten feet. The hurricane produced some of the highest wind gusts that the state has experienced since Hurricane Helene in 1958. Another huge cause for concern with Hurricane Florence is the potential environmental hazards that could arise with flooding and storm damage. As per protocol, a nuclear power plant in Brunswick, North Carolina has been shut down but there are five other nuclear plants in the hurricane’s path, according to CNN. There are also risks of toxic pollution from agricultural operations, coal ash pits, and livestock. Thousands have evacuated their homes to emergency shelters in North and South Carolina and by all accounts, this is only the beginning of the worst of it.